Home > About Memorabilia > Are Music Books Memorabilia? There have been plenty of music books published over the years, many of them frivolous and gossipy, but also more than a few that are serious and even weighty (such as Peter Guralnick’s two-volume, in-depth study of Elvis Presley). The good ones becomes excellent additions to our knowledge of music, and in some cases even become textbooks for university courses on the subject, now that popular music has become part of the academic mainstream. 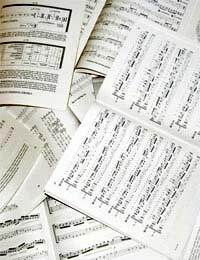 But can music books ever be considered as memorabilia, and if so, what does it take to make them that way? There have been books about stars for decades, with quite a number coming in the US in the wake of Elvis’ rise to stardom in the 1950s. All the big stars have inspired books, often quite thin volumes exploiting their fame when they were on top – much the same as with film stars. Of course, back in those 1950s, no one believed rock’n’roll would stick around, let alone also develop into an art form. The first serious book on rock, 'The Sound of the City', didn’t appear until 1970, and even that didn’t set off a rush of others following. Real scholarship didn’t even begin to emerge until the 1980s, although these days there are more books on rock, and on bands, than you can comfortably read. The books on artists – many of them not in depth – still proliferate, although not as much these days with the rise of the Internet, where fans can find out anything and see pictures at no cost, often discovering far more information than they would in a book. These days, serious music books cover every facet, from old blues, to jazz, world music and beyond, although the focus is definitely on rock, which by now has a long-established history and has gone through many phases. What Would Make a Music Book Memorabilia? With a few exceptions, the book itself isn’t going to be memorabilia. In a few, rare cases, a first edition, especially a copy signed by the author, might fetch a little money, but it’s hardly going to be big bucks. A book on an obscure artist – such as the Italian one that came out on Robert Wyatt and included a free 7” single – can also qualify as memorabilia, signed or not. Cult artists have definite value in the memorabilia market, and the books published on them are often only available in small quantities, making them worth more. So what might attract real attention as memorabilia? A book on a band signed by all the members of the band, especially if one of them has died or the band has broken up, or on a solo artist (again autographed), could be worth some money, especially as a first edition, assuming the printing wasn’t a massive one. Some books that do have real worth in the memorabilia market, curiously, are older collections of folk songs. The collection published decades ago by John Lomax is a good example, or old books from Cecil Sharp that are collections of English song, while early editions of the five volumes of Child’s Ballads have commanded quite hefty prices. By and large, though, music books are for education and entertainment, rather than the memorabilia market. But the best ones are priceless sources of information, reference material, and give plenty of food for thought.